Earn 89 points to spend on future purchases. We sleep for a third of our lives... During sleep we grow and repair; our bodies and minds are rejuvenated. Sleep feeds our quality of life. F&P Eson performs automatically in tune with your SleepLife, maximizing no-fuss comfort and simplicity by minimizing manual adjustments, parts and noise. Eson is available in three sizes -- Small, Medium and Large -- to fit a wide range of users. As the name suggests, Eson's one-piece Nasal Seal (Cushion) rolls back and forth on the nose, auto-adjusting during sleep to reduce pressure on hard to fit areas, like the bridge of the nose, while increasing overall seal and comfort. The RollFit Seal incorporates integrated stability panels for optimal sealing performance and stability all night long. Breathable ErgoFit Headgear is designed to self-locate high on the rear of the head to allow for maximum head movement without dislodgment or loss of fit. EmbeddedVelcro Tabs and Easy-Clip Hooks allow for fast and easy fitting and removal without the need for constant adjustments. 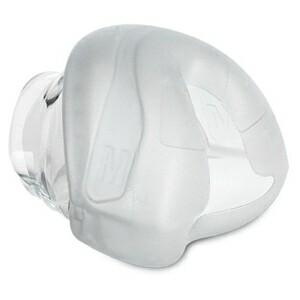 Two headgear sizes are available: All Small Eson masks come standard with Small ErgoFit Headgear. All Medium and Large Eson masks come standard with Medium/Large ErgoFit Headgear. The Easy Frame comes with a "Q Cover" elbow vent for super-quiet use and minimal partner draft. 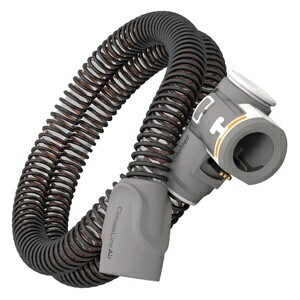 The ball-and-socket elbow rotates for freedom of movement while minimizing drag from your CPAP or BiPAP tubing. In the Package Eson CPAP & BiPAP Mask with RollFit Nasal Seal and Ergo Headgear. Intended Use The F&P Eson Nasal Mask is intended to be used by individuals who have been diagnosed by a physician as requiring CPAP or Bi-Level Ventilator treatment. 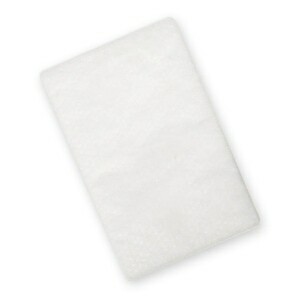 The F&P Eson Nasal Mask is intended for Single Patient Adult Use in the home and Multiple Patient Adult Use in the hospital or other clinical setting where proper disinfection of the device can occur between patient uses. Easy site to navigate and make a purchase. Items arrived sooner than expected. Always use this company for my purchases. I ordered this mask because it is quality manufactured. This mask stays put. No coming off during the night no matter what position I sleep. Back to a good nights rest. Great to deal with great products at great prices. Shipped and arrived super fast and with no shipping charge this was a no brainer. Have ordered twice from DirectHomeMedical.com. Both times I received friendly support, advice and prompt service. My product arrived on time and was packaged very well. I will be repeat ordering many more times. 1st time ordering but everything came in as ordered and right on time! Will use again! This is one the best masks I've ordered online. Fits perfect, no leaking air. Also, liked the price since I am paying for it not my insurance. Had the Fisher paykal nose mask. This one is smaller. My order was a accurate and shipped on time. The product was a great bargain. This is my first experience with a CPAP machine and the mask took getting used to, but it soon felt as comfortable as an old hat. My sleep has never been better. This mask was the most uncomfortable I have ever worn. I tried it out for 4 nights. I could not wear it for more than 3 hours. I returned it for a full refund under the 30 day mon4ey back program. I would not recommend this mask to my worst enemy. Mask sealed well BUT after only 3 nights wearing it, the bridge on my nose was rubbed raw and became infected! I cleaned the mask each day and tried to adjust it so it used minimal pressure but I failed to find an adjustment that worked. I really love the performance of this mask design and would give it 10 stars. The design of the mask is great, easy to clean, fits well and comfortably with minimal leaks. The design of the mask frame and rotation is ideal. The problem is with the frame plastic. One of the three tabs that hold the mask unit snapped off almost immediately and now, after only 5 months, the frame is cracking. That being said, the performance of the mask design is so superior, I'm buying another one to see if maybe they've corrected the materials issue. Although it doesn't leak it is a bear when it comes to the head gear and getting it on. The four detachable items, the nose bridge has two and then two on the mask, are difficult to use. The nose bridge continually slips off when you remove the mask and makes the mask a bear to put back on during the night without turning a light on. If it wasn't as good at a seal at my nose as I have ever had I would of returned it. I ordered this mask for my husband and he is sleeping much better than the old mask he was using for many years. The mask is comfortable and easy to use. I'm a new cpap user, so I am sill trying to get used to wearing masks. When I tried using the nasal pillows, I had a hard time exhaling through my nose. This mask solved that problem for me. I liked doing business with Direct Medical because I could easily order on line and my order was processed and received correctly and quickly. I have tried a number of times and for me it seems. I'm not getting enough air.....it just isn't working for me. 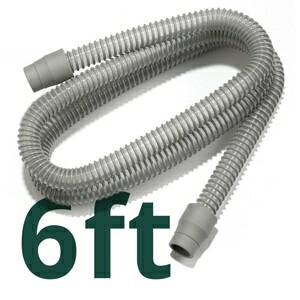 New to CPAP/APAP, and was a bit hesitant to choose a mask and have it not be comfortable AND not leak. I have a mustache and beard and did not want to shave them off. This mask has only leaked when I have rolled over onto it. Other than that it hasn't leaked and is very comfortable. It actually seals with only light pressure applied to the straps. The exhaust is very quiet. I do recommend this nasal mask- but again I have never used a different mask, and with this one I'm not looking to make a change either. I have been on a C-Pap for several years and each time I replace my mask I think, this one is going to be the one. This one is the one. No sores on the top or under my nose any longer. I think it's great for me. Thanks to Adam @ Direct Home Medical - he is the BEST! This mask is very comfortable, quiet, and has a minimum of air leaking. However, I sleep on my side and stomach more than on my back. The straps leave serious "sleep marks" on my face. They are still visible 4 hours after waking. This is by far the best mask I have ever had! It is so comfortable. The seal around my nose is so comfortable and secure. There are no leaks. It is very quiet. I highly recommend it. Fits very well, does not slip off your head. Highly recommend this product. Trying this mask in an effort to reduce irritation caused by most other masks on bridge of nose. 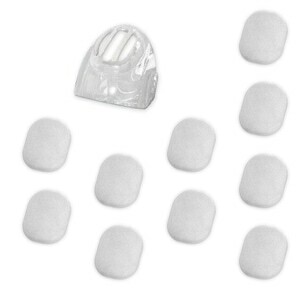 Alternating this mask with my Resmed Soft Gel and Resmed Activa LT. Have been fighting this problem for over a year in an attempt to find a nasal mask that provides little or no leakage and reduces the pressure on nose bridge. The soft Gel has worked for me but increasingly causes more irritation I do use gel pad in attempt to control this . This nasal CPAP mask is very comfortable, and the soft silicon seal is an improvement over the cushioned HC407 Fisher-Paykel mask I was using. The straps are more adjustable, and seem to be sturdier (will wear longer). I like the swivel on the mask, seems to move really well while staying sealed.